A Welsh language religious periodical serving the Unitarians. The periodical's main contents were religious articles, domestic and foreign news and poetry. Originally a monthly publication it was published irregularly between 1969 and 1986, and bimonthly from 1987 onwards. Amongst the periodical's editors were the minister and schoolmaster, John Edward Jones (1801-1866), Thomas Arthur Thomas and David Jacob Davies. 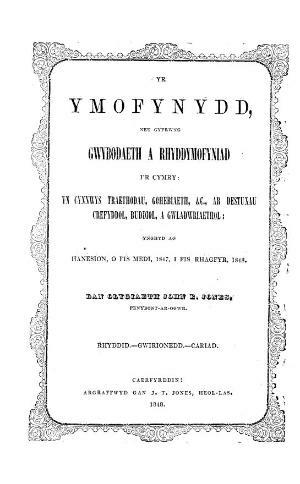 Associated titles: Yr Ymofynnydd (1926).